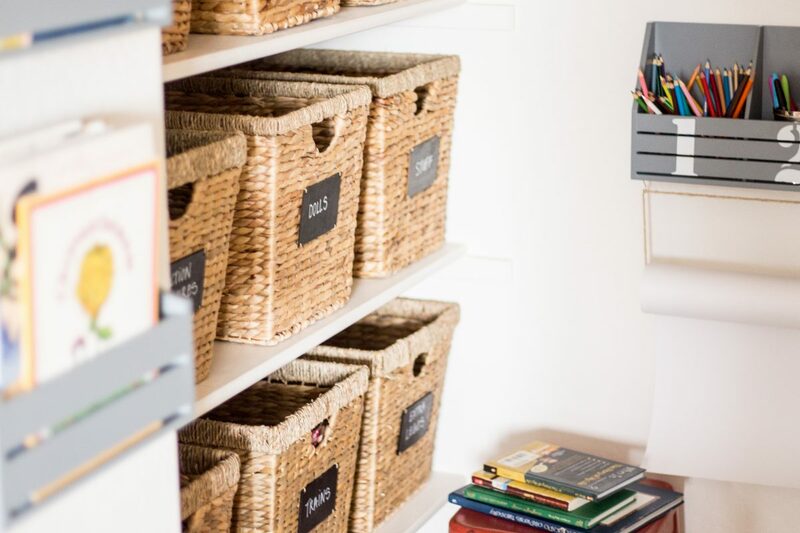 I’m back today with another closet organization idea! This time for the kids! Thank you Better Homes and Garden Walmart for joining me today! Every other month we team up to bring you new products and ideas using their line from Walmart! 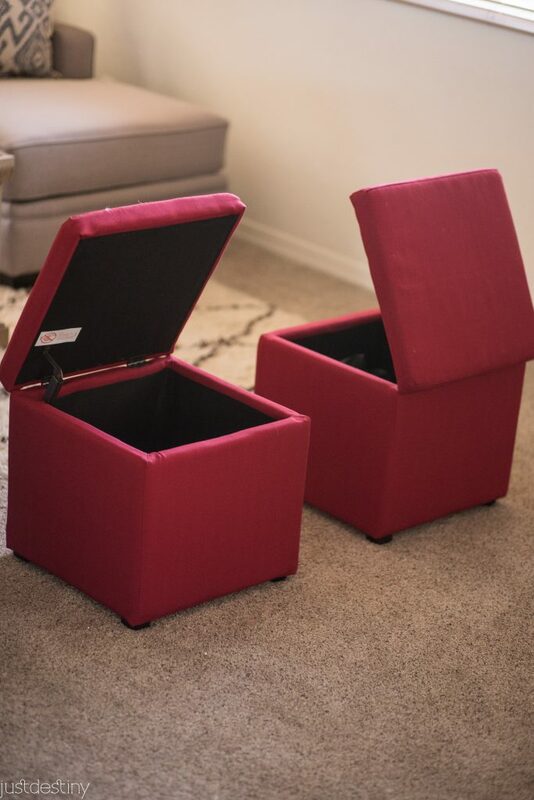 Our home has a lot some great storage options. 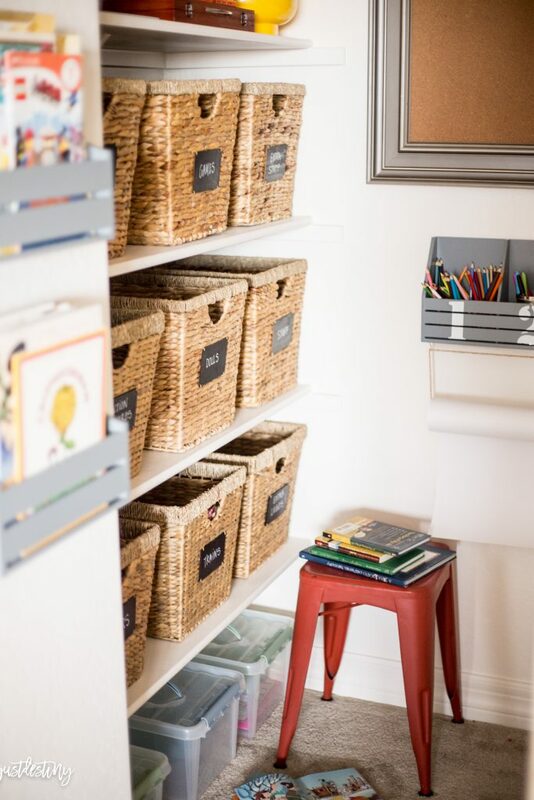 One of my favorites is the linen closet but our playroom also offers some storage for all my kids junk…errr, I mean toys. Toy organization is a must! In our last house it was a disaster. Toys everywhere even with bookshelves and cubbies. 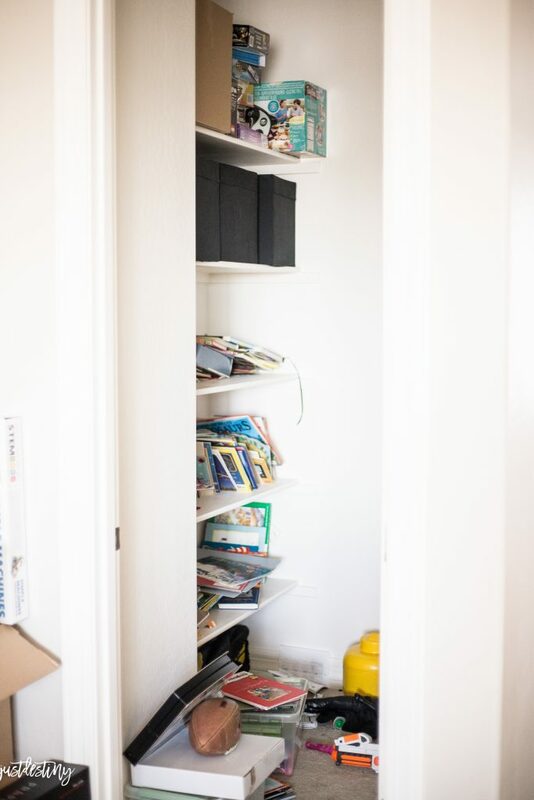 This playroom has a great set up with a closet off to the side. 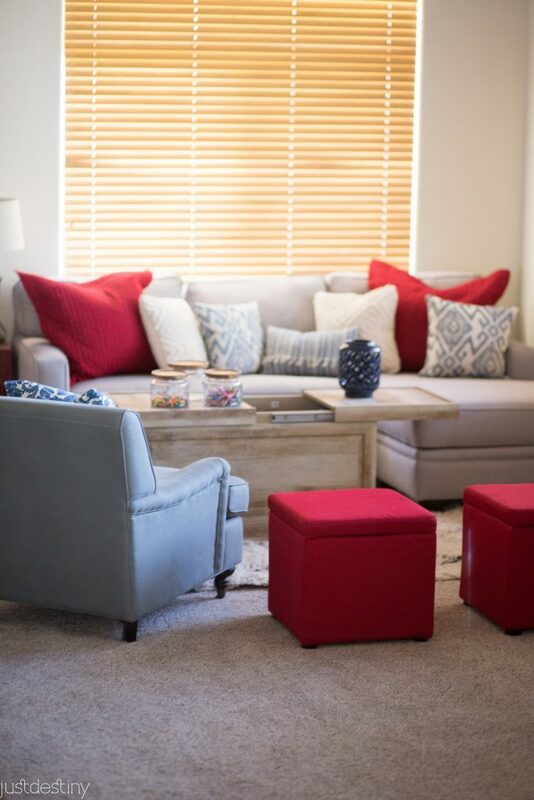 Remember in my post a few months ago I talked about storage options for this room?We were renting at the time so I just set up the concept in our then living room! Well we moved that set up into the playroom so the coffee table helps with board games and activity sets while the ottomans are still empty and are ready for anything else that may need storage down the line. For the closet I used Better Home and Garden Walmart bookshelf in gray. These are brand new and online only but come in this color along with a white with hearts! 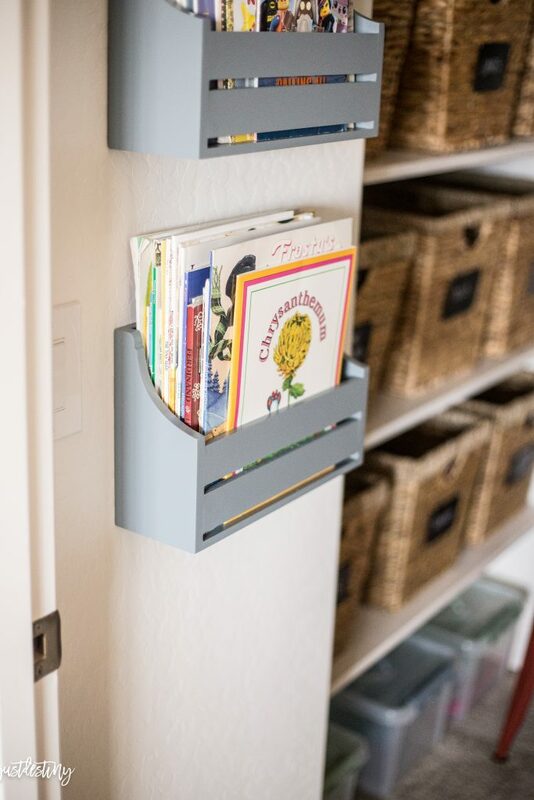 They are perfect for the extra flow of books that we have. 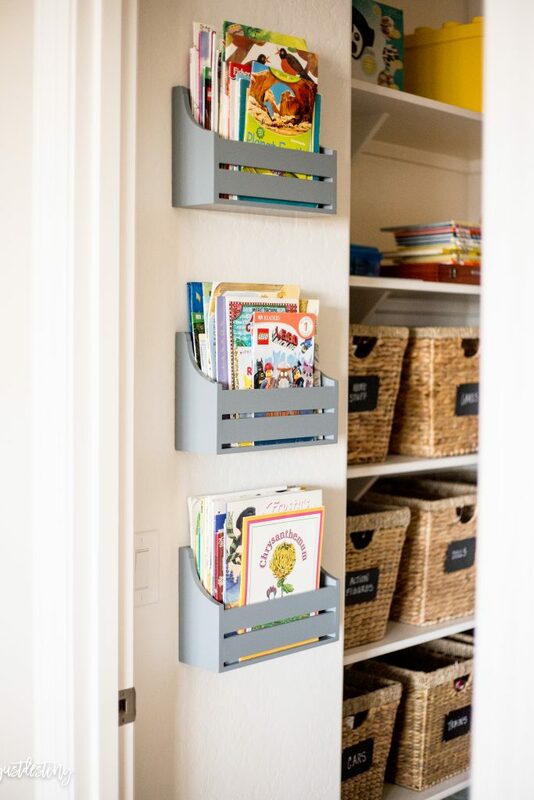 They were on the shelves but moving them to the door helps free up some space and lets the kids have easy access to them. I also added baskets for all of their toys with parts, action figures and a few empty ones for toys to come. 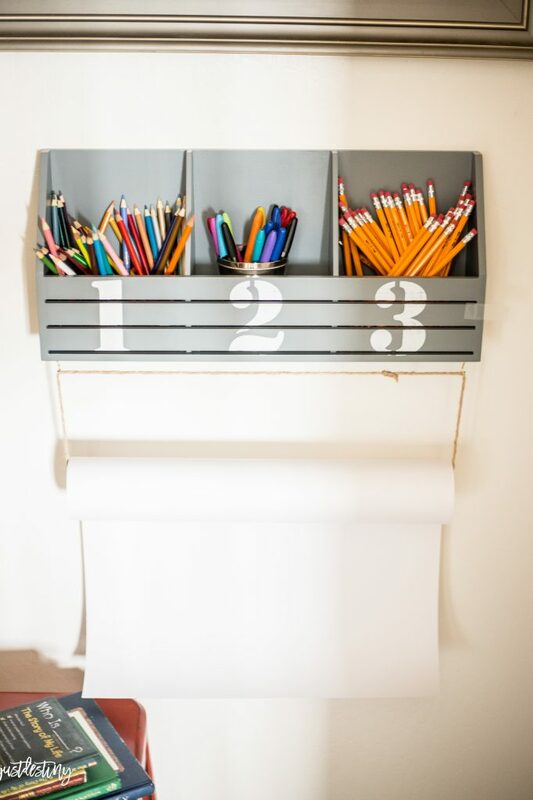 These baskets with the chalkboard on them are the perfect solution. Kids can read where things go so everything doesn’t end up on the floor. Which to be honest it probably will but at least a system is in place when they do clean up..haha! 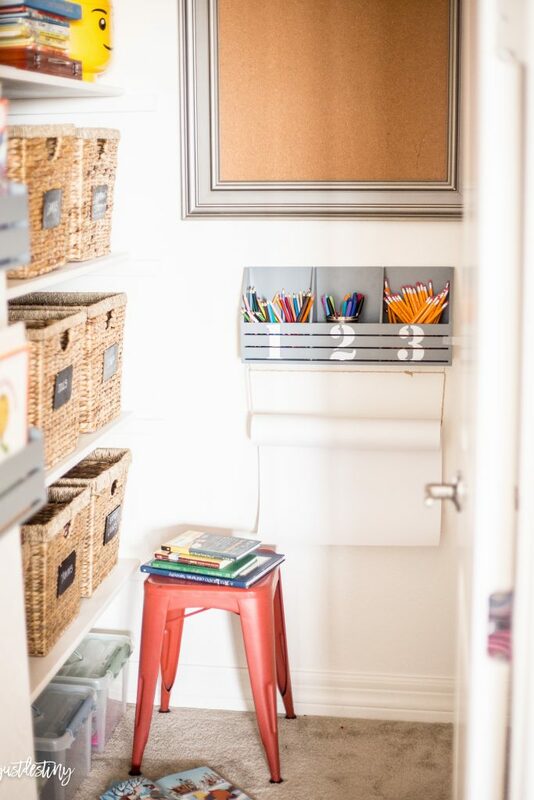 I thought it would be a great idea to hang up some paper for them to use so I attached small hooks to hang the paper from the bottom of the cubby. 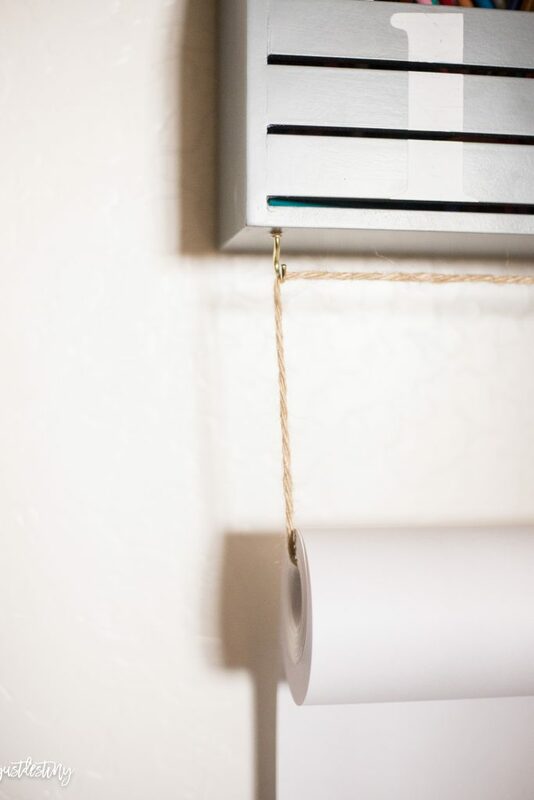 Then threaded a piece of rope through the roll. It worked great!! Are you guys in organization mode? New year right! 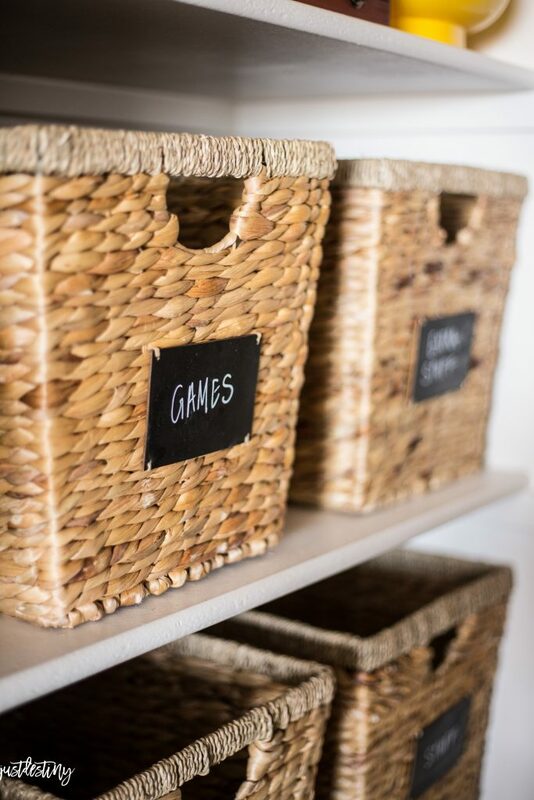 Baskets are always and affordable way to get the stuff off the floor and onto a shelf! 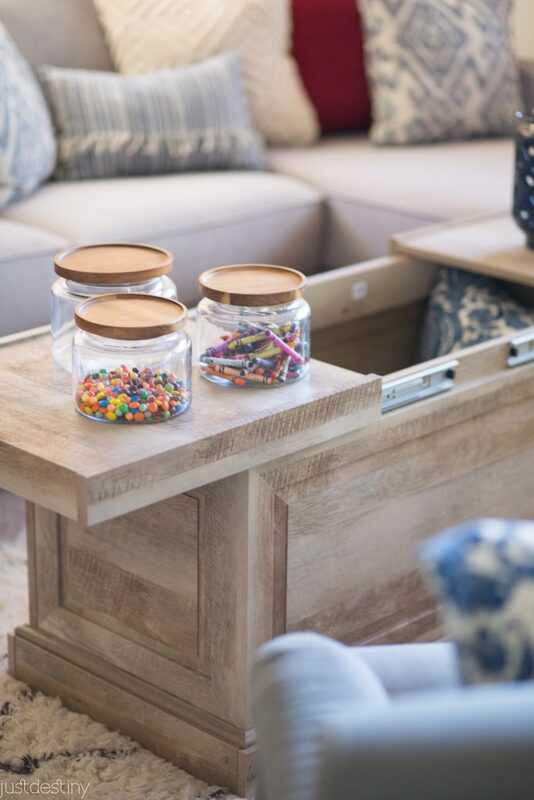 What are your favorite ways to organize toys? !